Happy New Year from History Education Hawaii, Inc.
"'Happy New Year,” is a kindly expression, that will drop from ten thousand lips, on this opening of the year 1854. May our readers not only repeat and re-repeat the wish, but may they also do something to make their friends, neighbors and fellow-men happy. A kind word is valuable, but a kind act is better. Let all contentions be buried in the grave of the dying year. Forget what is evil, and keep in lively remembrance what is good. Hereafter strive to make all with whom you associate, more happy. As you pass along the journey of life, gladden the hearts of your fellow-travellers. Let each day witness your love of peace, desire to do good, and your willingness to act well your part in life. Then will your days, months and years pass happily away, while you are sustained by the animating assurance that you have not lived in vain." *From The Friend, published in Honolulu by Rev. Samuel C. Damon, dated January 2, 1854. Mystic Seaport seeks volunteers to participate in an exciting, unprecedented public-history project onboard the 1841 whaleship Charles W. Morgan. Beginning December 1, 2013, the Museum will accept project proposals by talented, self-motivated adults from a range of disciplines and backgrounds to document and share their experiences during the ship’s commemorative 38th Voyage. CLICK HERE. 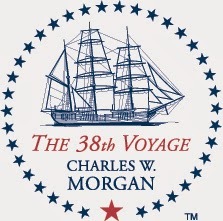 In summer 2014 the Charles W. Morgan will sail for the first time in more than 80 years. During its first 37 voyages (1841-1921), this vessel ventured into all the world’s oceans in pursuit of whale oil and baleen, carrying multi-ethnic crews and coming into contact with many different cultures. Now a National Historic Landmark, the Morgan will sail to seven New England ports, engaging communities with their maritime heritage, raising awareness of the changing perceptions about whales, and furthering ongoing research into whales, whaling, and whaling peoples. 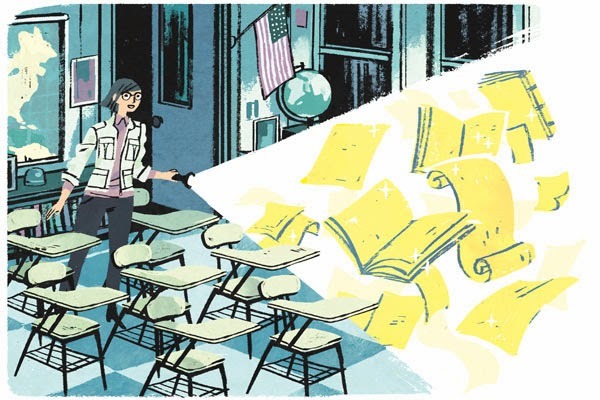 "Common-core anxiety sweeps the land, and professional developers of curriculum and assessment smell dollars. Flashy brochures promise that once that purchase order is signed, every child will pass the new tests. For a pittance more, they'll make the lion lie down with the lamb. "District administrators would be wise to lay down their pens. There's a valuable resource right in front of their eyes. It requires no lengthening of the school day, no elimination of art and music, and no endorsement of checks to third-party developers. It's so familiar we no longer notice it. It's called the history/social studies curriculum." By Sam Wineburg, the Margaret Jacks professor of education and an adjunct professor of history at Stanford University. He is currently on a fellowship in India as the Fulbright-Nehru Distinguished Chair. Click here for the full text of this article featured in Education Week. Please Support the National Council for History Education -and Please Join Us! As another year comes to a close, please support the future of history education in our nation's schools with a tax-deductible donation. The National Council for History Education, and state councils such as History Education Hawaii, continue to be among of the primary voices to advocate the importance of History in the classroom and beyond. Your generosity will enable us to meet future challenges while providing support for existing programs including our outstanding newsletter, History Matters!, and NCHE's acclaimed national conference. Give your family, friends, students, or teachers the gift of membership in the National Council for History Education! Walking beside thousand-year-old burial mounds, flaking raw stone into tools, learning how potsherds tell us about human behavior, and understanding how humans adapt to complex, ever-changing environments­our 2014 NEH Summer Institute features all this and more. Application and other information on the Institute is available online athttp://www.uwlax.edu/mvac/neh.htm. The deadline for applications is March 4, 2014. 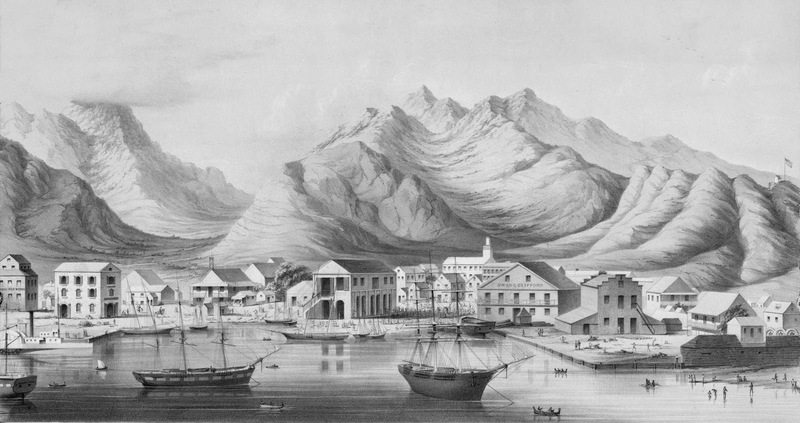 We're delighted to report to our readers and visitors that the History Education Hawaii Programs page has been updated. Go here to take a look. 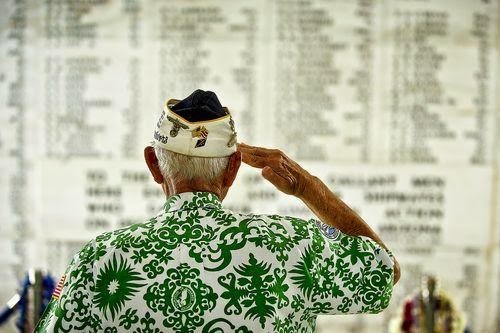 History Education Hawaii "invites you to come immerse yourself in history education. Our doors are open to history educators, history students, historians and history buffs from all walks of life. Our ever-evolving programs are the centerpiece of our on-going efforts to promote history and facilitate the prosperous future history educators deserve." In 2014 we will be issuing a call for submissions to our online journal of history (in development). We look forward to co-sponsoring the annual Hawaii History Bee and Bowl, recognizing history education leaders in Hawaii, online-based professional development for history teachers, and more! We believe in providing entertaining, informative and memorable opportunities for all who love history. Come join our journey together! We received news from Bob Nasson, the executive director of the National History Club. The Fall 2013 eNewsletter of the NHC is now online. You can view it at this link. The National History Club Inc. (NHC) inspires students and teachers to start History Club chapters at high schools, middle schools, and within other student and community programs. Members of local History Club chapters participate in local and national programs, and create their own projects and activities. The NHC also provides chapters with resources and services that will help them increase the activity and impact of their history club. To date, 475 History Club chapters at high schools and middle schools in 44 states have joined the NHC, and there are over 14,000 student members. Schools are free to decide whether their chapter will be a regular History Club or a History Honor Society. Secondary school teachers of U.S. history and government are invited to apply for a summer institute, Federal Trials and Great Debates in United States History, to be held June 22-24, 2014 in Washington, DC. NOTE: Completed applications must be postmarked no later than March 1, 2014. This year’s institute will study the Sedition Act trials of 1798-1800, the trial of Prohibition era bootlegger Roy Olmstead, and the Pentagon Papers cases. Faculty will include Saul Cornell of Fordham University, Richard Hamm of the University at Albany, and Geoffrey Stone of the University of Chicago Law School. Teachers will visit the Supreme Court and the U.S. Courthouse for the District of Columbia, and will participate in a workshop at the National Portrait Gallery. Participation will be limited to 20 teachers. Travel, lodging, and meal expenses will be reimbursed. Further information and application materials are available online at this link. The Western Association of Women Historians was founded in 1969 to promote the interests of women historians both in academic settings and in the field of history generally. Drawing scholars from the Western states, the WAWH is the largest of the regional women's historical associations in the U.S.
WAWH offers a variety of prizes and awards. Please click this link for details and how to qualify. Each year, the National Endowment for the Humanities (NEH) offers tuition-free opportunities for school, college, and university educators to study a variety of humanities topics. Stipends of $1,200-$3,900 help cover expenses for these one- to five-week programs. For more information and application instructions, please visit the websites for individual programs on history and history education. Hawaii educators are strongly urged to apply. Links are provided here.